Crystal Units Surface Mount Type CX8045GA CX8045GA By Kyocera Kinseki Corp. This is one package pinout of CX8045GA,If you need more pinouts please download CX8045GA's pdf datasheet. 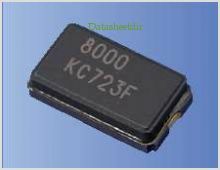 CX8045GA circuits will be updated soon..., now you can download the pdf datasheet to check the circuits!